The Optical Surfaces Group(OSG) at N-Science have has developed Advanced Optical Black processes and continues to refine and advance these processes to produce optically black surfaces. At this time, the primary product for OSG is the Ultra-Low Reflectance surface treatment family of processes called Deep Space Black™ (DSB). New optical blacks under development are Deep Cobre Black™ and Deep Immersion Black™. 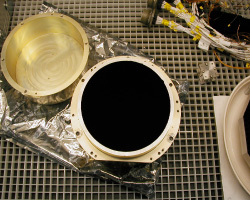 N-Science initially developed Deep Space Black™ in an effort to improve the performance in optical instrumentation provided to our customers within the aerospace community. The aerospace users have had access to similar low reflectance, low scatter, and high emissivity surface treatments for years. The cost was typically prohibitive, making it practical for only a select group of well-funded programs and systems. 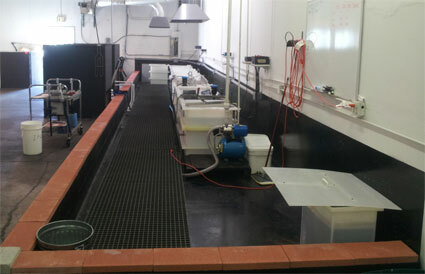 The N-Sci/OSG has made substantial progress in modifying and streamlining processes for manufacture of Deep Space Black™ and as a result, has significantly reduced cost, opening the door to those users who, in the past, would have deemed this type of surface treatment to be desirable but unattainable for their optical system. 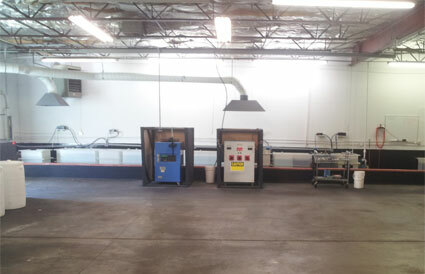 N-Sci/OSG operates a dedicated process line within N-Science’s modern 4700 square foot facility in Wheatridge CO. The N-Sci/OSG also includes our relationship with Advanced Surface Technologies in Arvada Co. The benefit of this alliance is the availability of other Surface Treatments of interest, for example, reflective Gold coatings.